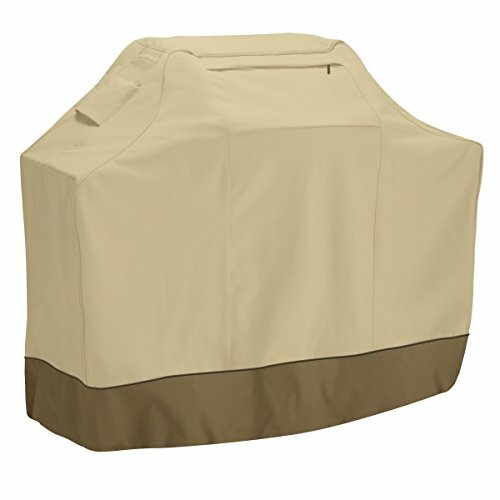 This rugged and fashionable barbecue cover gives big cover protection to small barbecues. It looks great in any balcony, yard or patio. The thick and strong fabric provides superior protection against rain, snow, sun, dirt and leaves. 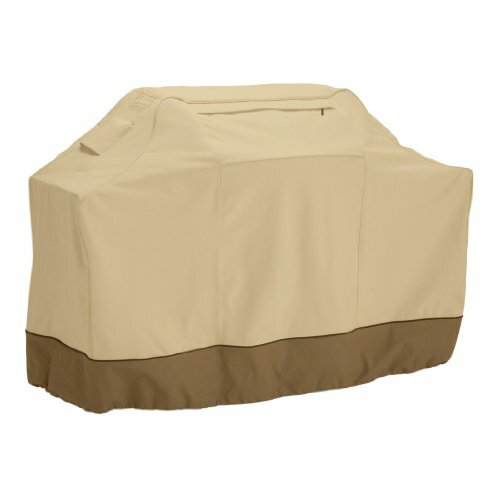 The Gardelle protective fabric system features a soft elegant top with a protective water resistant undercoating and a protective dark splash guard skirt. As with all Veranda covers, beauty is more than skin deep. 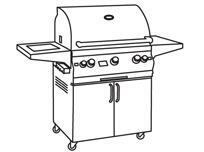 Click close straps secure quickly to the grill legs so you cover stays on during windy days. An elastic hem cord with a toggle lets you adjust the bottom for a tight and custom fit. A side air vent reduces inside condensation and moisture. The Veranda Grill Covers from Classic Accessories provide stylish protection to your barbecue in all weather conditions. 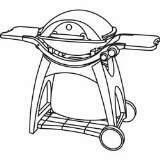 Convenient and thoughtful features like a storage pocket, large handles, air vents, buckled straps and an adjustable drawstring keep your cover attached to your grill and looking like a custom fit. A manufacturer’s 3 year warranty lets you know this product will hold up over all seasons. 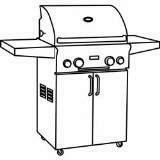 The thick, water resistant material keeps the elements off your grill and will not crack in cold weather.